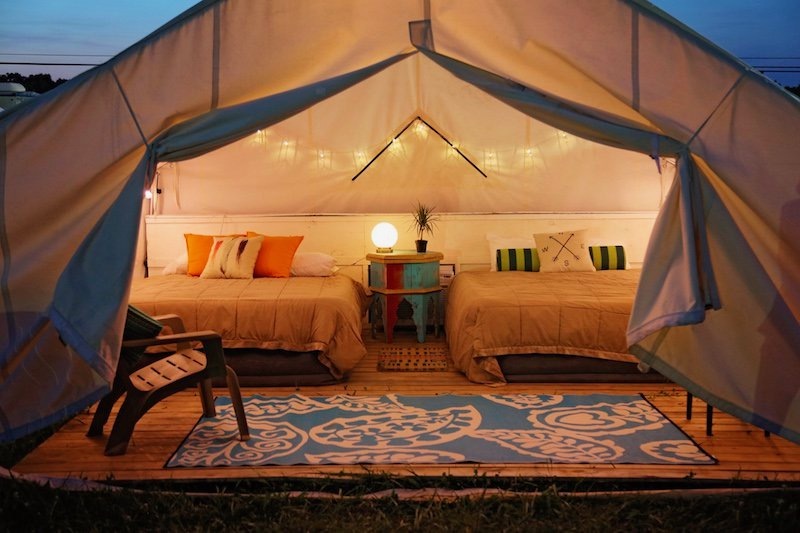 The Great Atlantic Campout is the immersive camping experience at Firefly Music Festival. 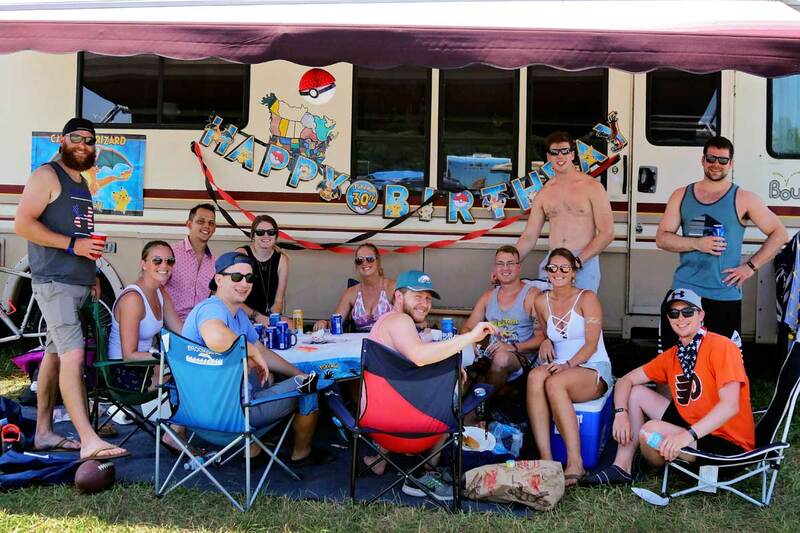 Whether you choose North or South Camping, Glamping and pre-set tent options, or bring an RV, you will have easy access to the venue, a pass for your vehicle, and access to all the Great Atlantic Campout has to offer. Nestled in a clearing surrounded by trees, North Tent Camping at The Great Atlantic Campout is located in the closest campground to the Firefly Stage. 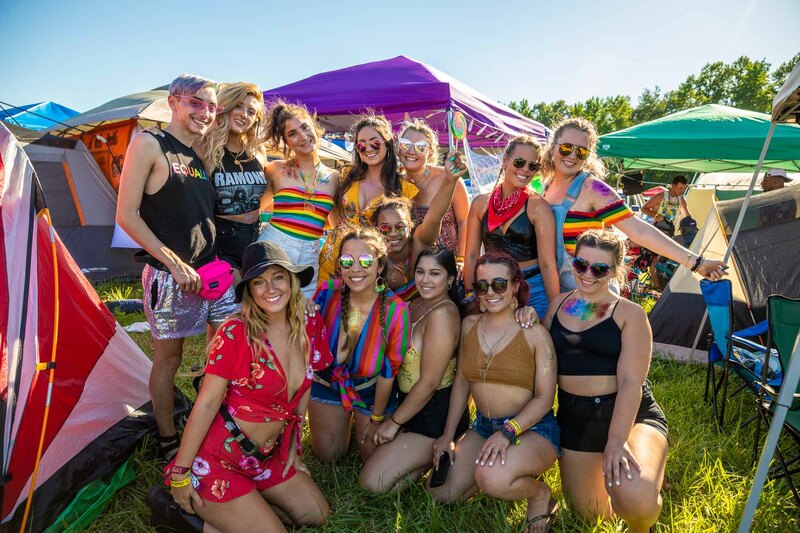 With new and exciting facility improvements for 2019, and larger campsites, North Camping is the place to leave behind the hustle and bustle of the streets and become fully immersed in the festival camping experience. Limited quantity of special on sale pricing available. Get tickets now to ensure the lowest price! 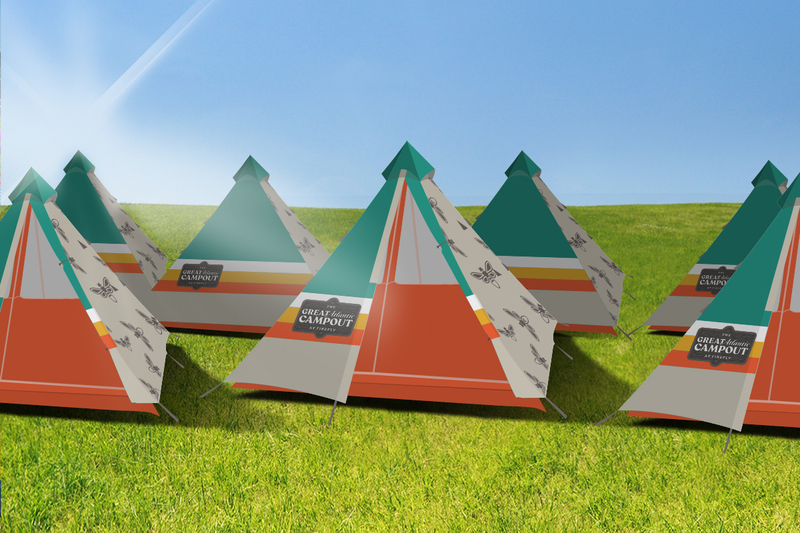 Campsites for up to 6 festival attendees. 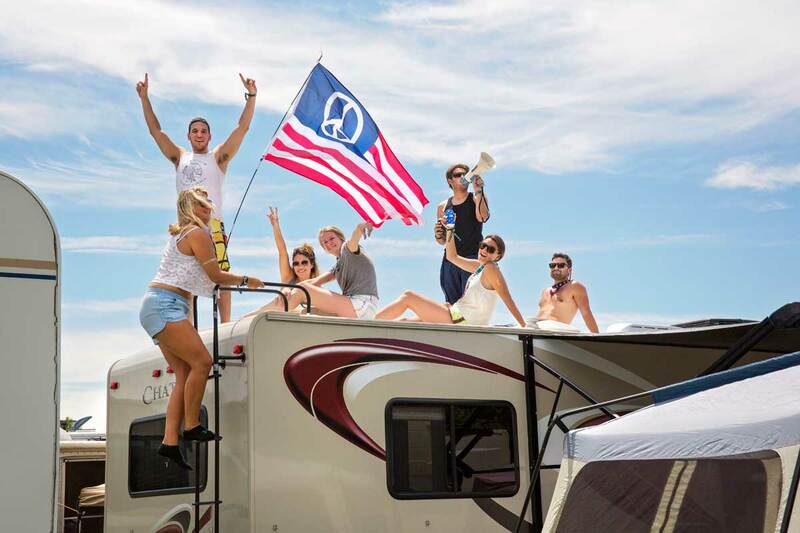 Located in the campgrounds of Dover International Speedway, South Camping at The Great Atlantic Campout provides a campground experience close to the main festival entrance. Located in South Camping, Group Camping at the Great Atlantic campout is the best way to have your whole group in one place. 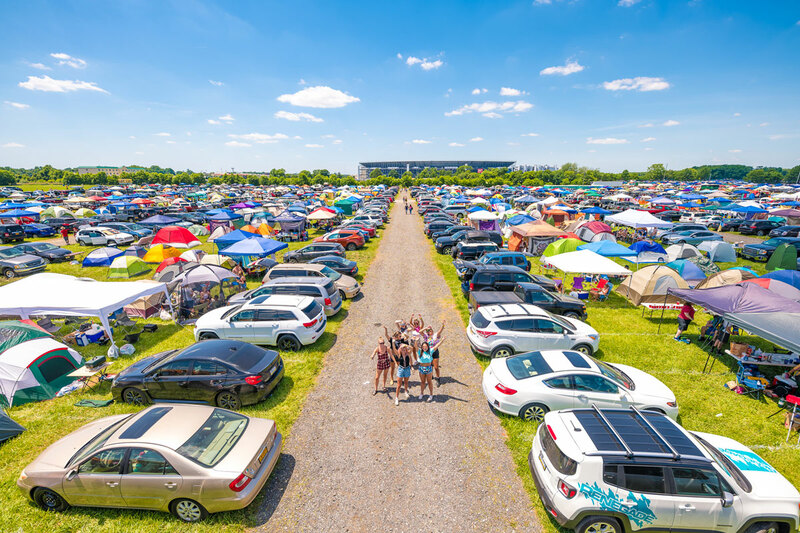 Newly added Firefly Super Groups allow you to camp in a tent-only campground with like-minded individuals in a fun, large group setting! Don’t want to travel with a tent? 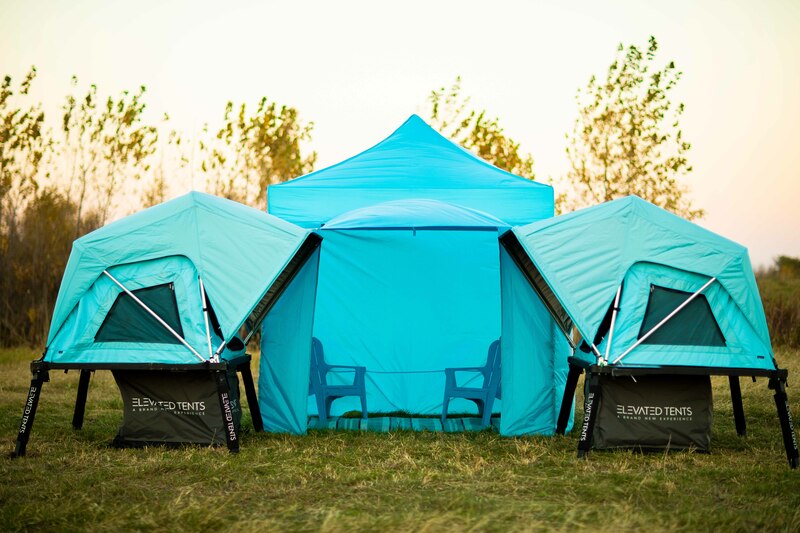 Pre-set camping and glamping options offer a number of stylish and comfortable ways to join The Great Atlantic Campout! 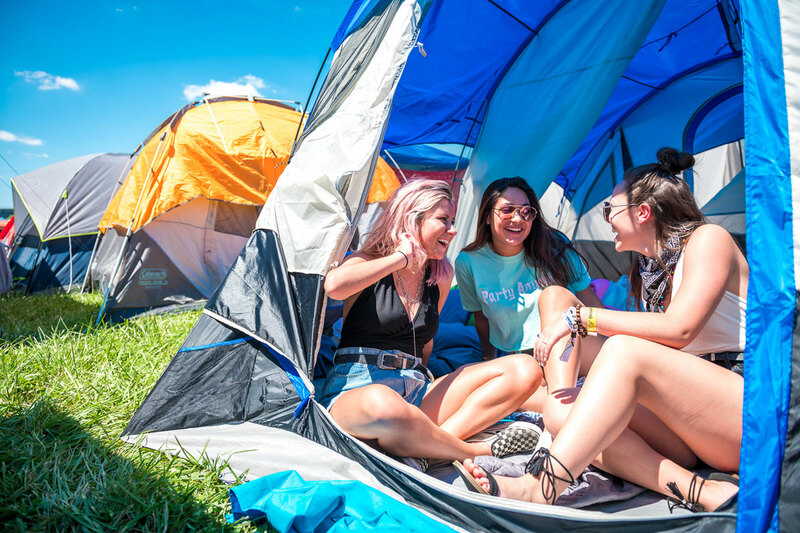 Carefree Camping at The Great Atlantic Campout offers a custom, collectible Firefly tent set up for you in advance, complete with camping accessories. Elevated Camping at The Great Atlantic Campout offers private, off the ground tents for two or four people, complete with double beds, and, for the 4 person package, a shade structure. Basic Glamping at the Great Atlantic Campout includes a private tent for four people, set up in advance with cots and blankets. 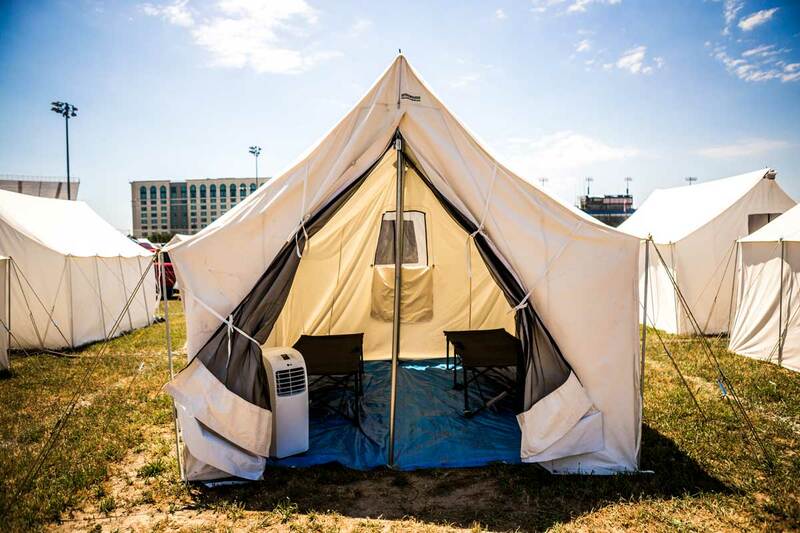 Located in the infield of Dover International Speedway, Infield Glamping includes a private, air conditioned tent for two or four people, set up in advance with cots, blankets and pillows. 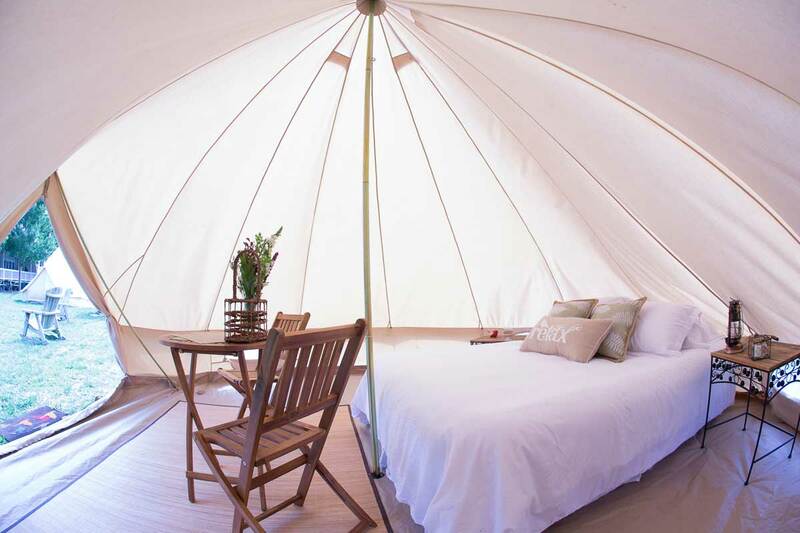 Located in South Camping, Peak Glamping at the Great Atlantic Campout includes a private, air conditioned bell tent for two, set up in advance with a memory foam mattress and luxury linens. 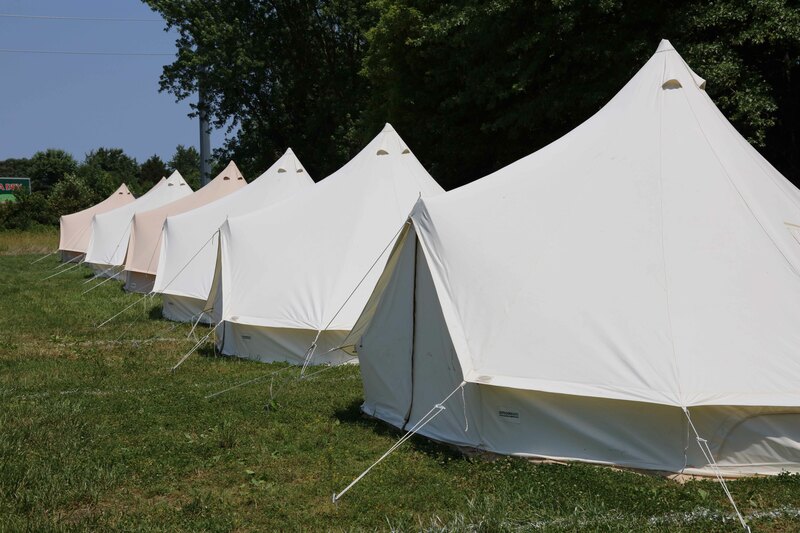 Located in South Camping, Super Glamping at the Great Atlantic Campout includes a private, air conditioned tent for two, set up in advance with a comfy bed and luxury linens. Looking to join the Great Atlantic Campout in your RV? There are multiple options for RV camping, each with different amenities. Located in South Camping, Standard RV Camping at The Great Atlantic Campout is the most economical option for fans looking to camp in RV’s. Located in South Camping, Front Row RV Camping at The Great Atlantic Campout puts you as close to the festival entrance as it gets. 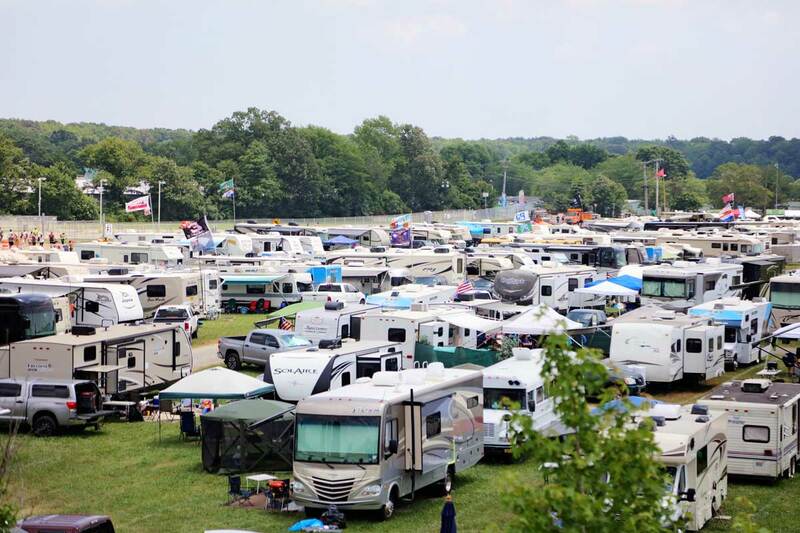 Located in the Infield of the Dover International Speedway, Infield RV Camping at The Great Atlantic Campout is the only RV package that includes power, water, and waste hookups.